You decided to purchase promotional products to get your brand out there – awesome! Now you want to make sure that your promotional products have maximum impact. An often overlooked aspect is the color selection of products. Yes, you want to select colors that match your brand’s logo or company colors, but when several colors match, the ones you select have more of an impact than you might think. This is due to something called color psychology. Colors are proven to shape consumers’ opinions. A study entitled Impact of Color in Marketing reports that up to 90% of consumers’ judgements are formed from color alone. Countless studies show that human brains have preference towards brands they can recognize, which makes color vital in forming that recognizable identity. You want your consumers to associate your company’s values with your brand. 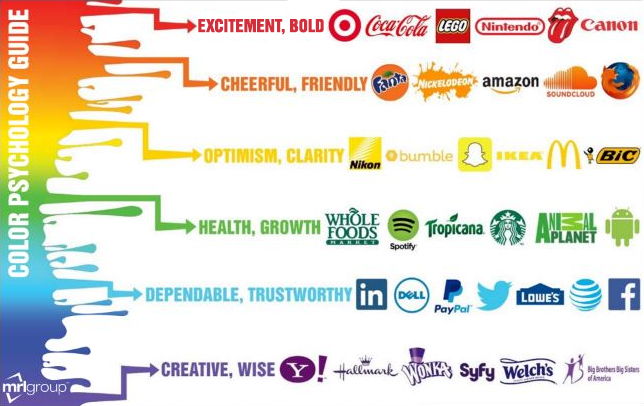 Colors can influence how your company is perceived. That said, you want to pick colors for your promotional products that are likely to create your desired reaction from consumers. Once you establish what your intended message is with your products, you can then decipher which colors are the most likely to achieve that result. Each color has a unique set of emotions associated with them. When selecting colors for your promotional items, consider what emotions and feelings you want consumers to associate with your brand. Using color strategically is a great way to put out variety in your promotional products instead of constantly sticking to one color alone. Our team at MRL is already a pro at how to create the most effective promotional products for your team. If you want to gain more knowledge yourself so your products can have your desired effect in the end, then here is a quick guide we created to help you out. Want more in depth knowledge of any color? Check out our color glossary to navigate through our color-specific blog posts that include the list of colors above, plus a few added bonus colors.